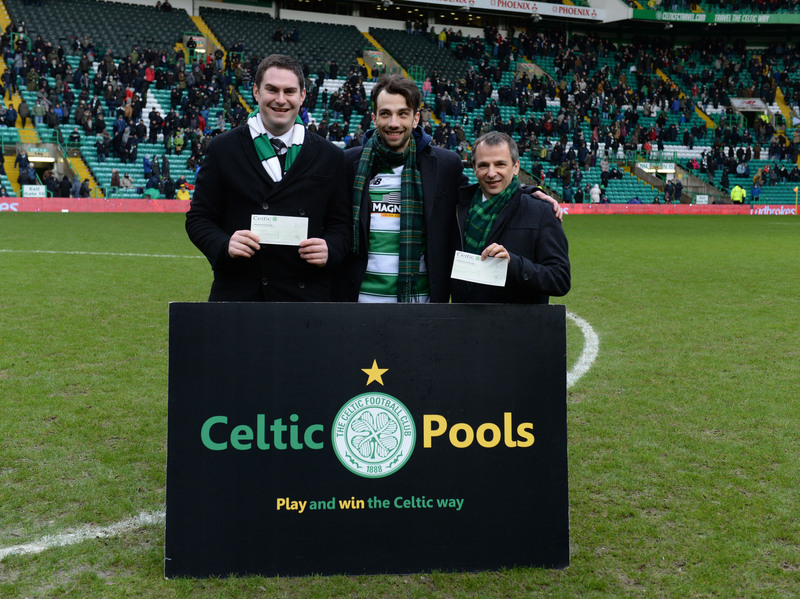 The 'Celtic Pool' was the very first supporters lottery launched by Celtic Development Pools in 1967. Over the years many millions of pounds have been donated to Celtic Football Club with Celtic Youth Development receiving a big slice of this since the year 2000. Many millions have also paid out to Celtic supporters in prize money. All winnings are based on the results of football scores and the beauty of this lottery is that you don't have to claim to get your winnings. It is still only £1 to enter and you receive 10 chances every week to win a share of the prize money. At the start of season 2011/2012 Celtic Pools introduced a new rollover prize called 'Score a Score'. This will provide an opportunity for a massive prize of up to £25,000 to be won by a lucky Celtic supporter during the season and you could be that person. Join the lottery today and you could be in with a chance to win some super cash prizes. Players must be least 16 years of age to play the pools.